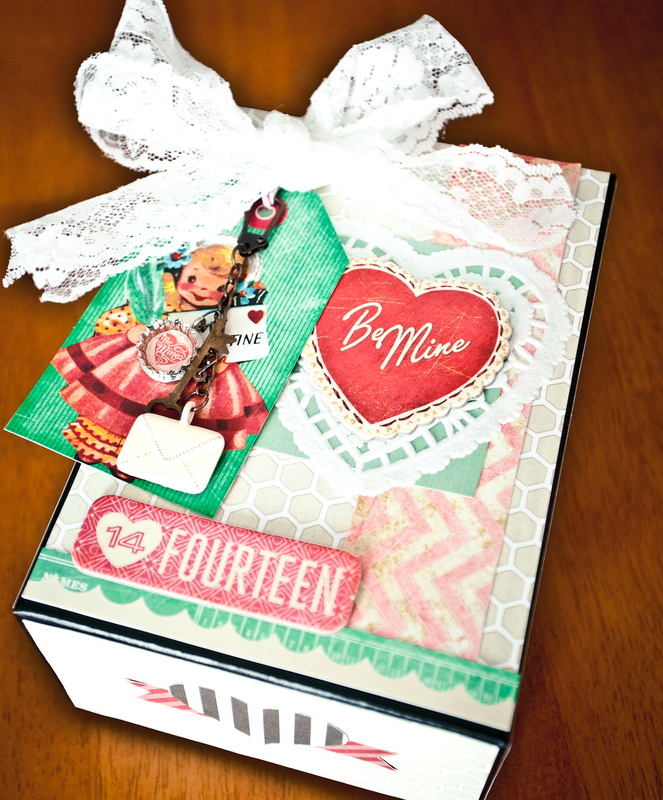 I made this layout using mostly Crate Paper's 14 collection along with some Basic Gray Fact or Fiction and Dear Lizzy Neopolatin. 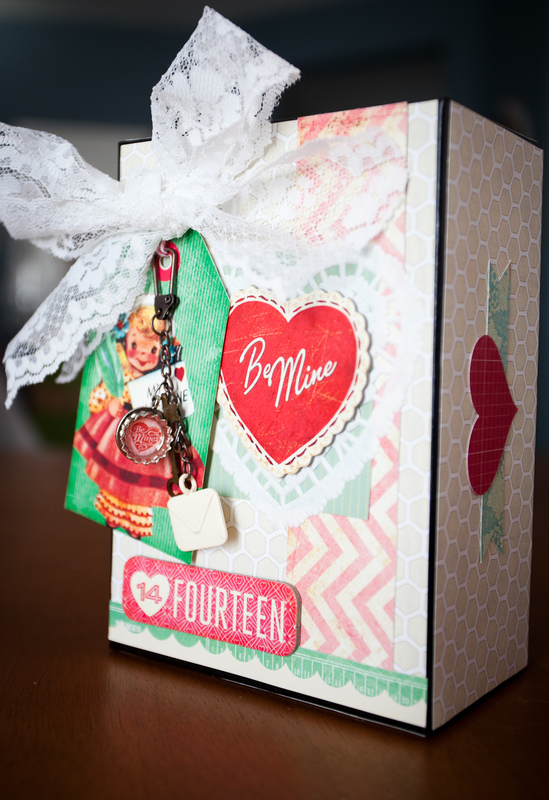 I also used my new heart punch by fiskars which is my new favorite scrap tool right now and I find myself using it on everything! For the hearts I used scrap paper from Authentique, October Afternoon, Basic Gray, and My Minds Eye. I love the pic of me and my hubby! And he says he loves this layout which really makes me smile! I think it came out pretty swell too :-) Hope you like it! 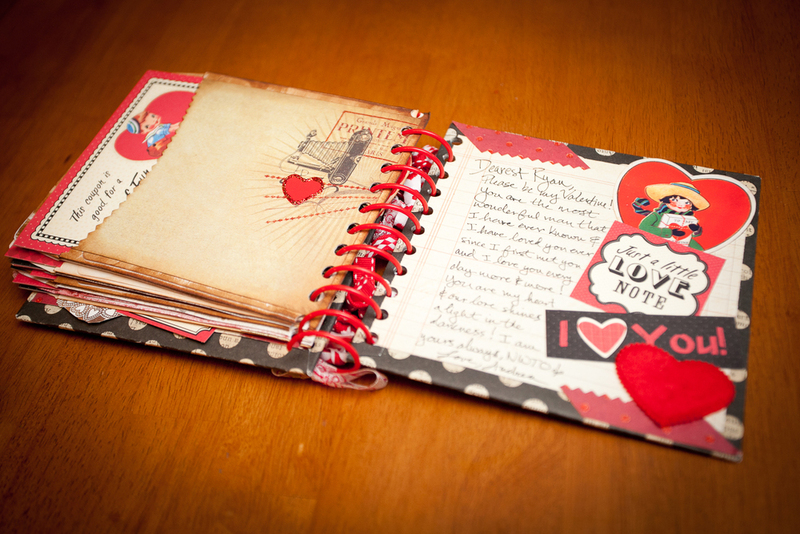 And here is a pic of a little Valentine mini I made using some old Valentine paper I had from last year and some older Recolections/My Minds Eye paper that isn't Valentines Day themed but it is all red and black and I think it goes well. I used a bunch of vintage Valentine style ephemera for it like these cute coupons that say free date night and free kiss and free hug and such! 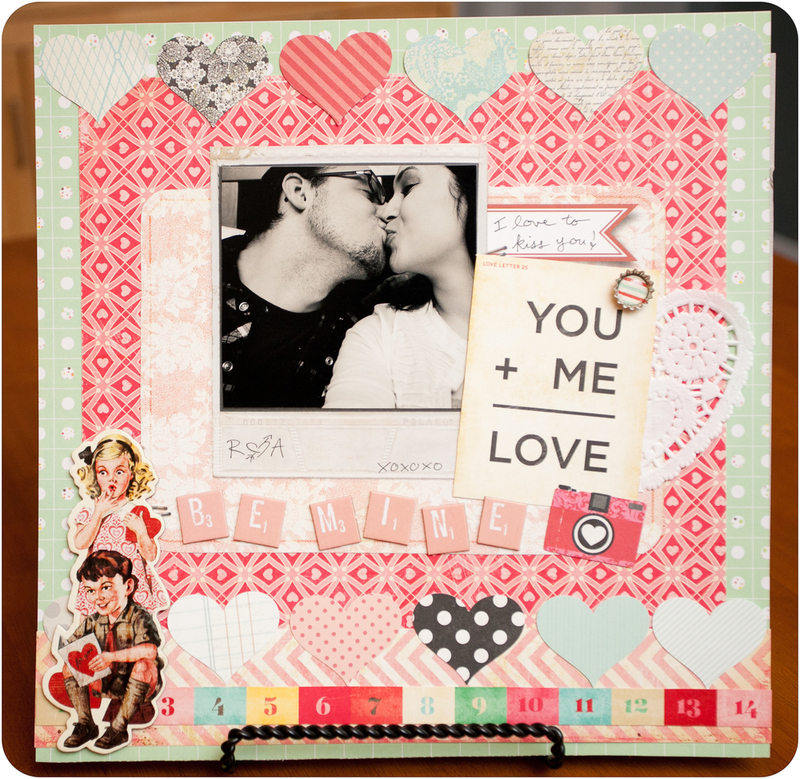 I think the mini is cute so far, I still need to fill it with pics of me and my hubby Ryan and then it will be done. Yay! 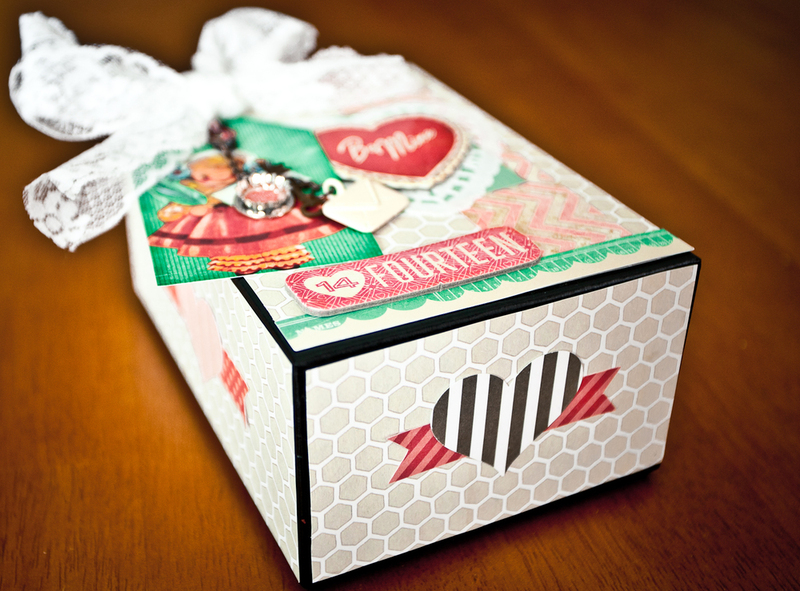 Here are some pics of this little box that I made using Crate Paper's 14 and Basic Gray's Fact or Fiction. Used the heart punch again here. I really wanted to make something to put some love notes in. I thought it would be great if I put a note in there every so often throughout February for Ryan and he did the same for me...now I just need to talk my hubby into doing that :-) I think it's a sweet idea, what do you think? 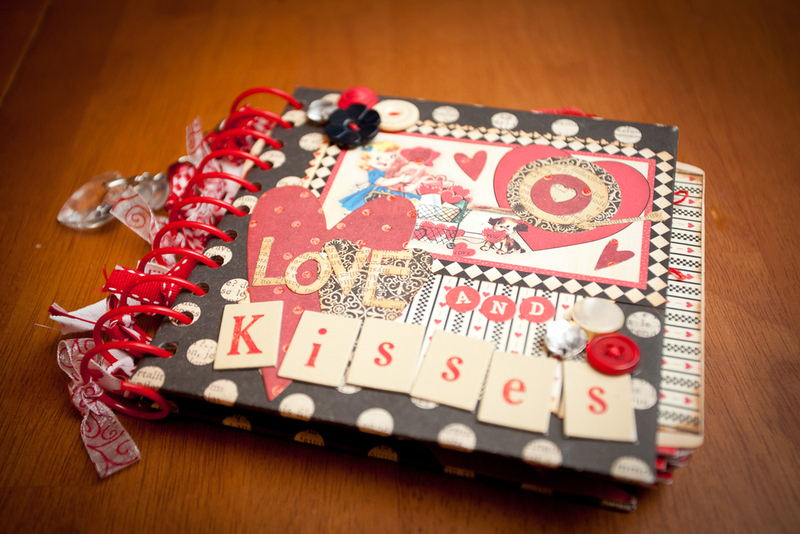 Well I am off to work on some more Valentines Scrappiness...next post will probably be a cool banner that I am working on using Pretty Little Studio's Valentine collection and some red burlap...I hope you like it!